On June 13, 1972, the team was purchased by Charles O. Finley, who also owned Major League Baseball’s Oakland A’s and the NHL’s California Golden Seals. Finley also took over the team’s debts. Legendary former University of Kentucky head coach Adolph Rupp became team president. 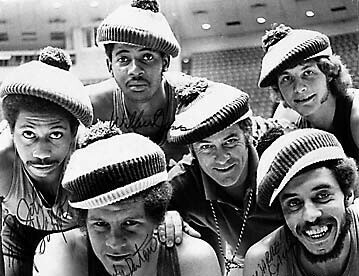 The winning entry in a “Rename the Team” contest was the Memphis Tams, perhaps one of the few entries that could be said to have been even less likely than “Pros.” The nickname was an acronym for Tennessee – Arkansas – Mississippi, and the logo was a tam o’shanter-style hat in white, green and gold, which were also the new team colors, shared with the Athletics and Golden Seals.